I need help evaluating some end of season ski deals, though, because my older boy has outgrown his old Craigslist skis, and my younger son doesn't have skis at all. We live in central NY, and I don't know what I'm looking for in skis that handle ice and packed or groomed trails well. DS2: 6yo, has had three learn-to-ski lessons. Needs more. (He's not really ready for the bunny slope, but he's loving being a skier.) He is too young for the elementary school ski club, so he will basically only be skiing with me. Currently 45 lbs and 45 or 46 inches tall. At the learn-to-ski lessons they put him on 90cm rentals, for what that's worth. Me: in need of lessons to get beyond greens. I skied half a dozen times in my twenties, then not at all in my thirties, and now in my 40s I can enjoy greens but not more. I will get better next year, since I'll go more than 5 or 6 times per year. My husband bought me skis at the reuse shop two Christmases ago, but I think they're the wrong size or style or something. They're very heavy for me, and although they were great fun on the single powdery day I skied them, they're really hard to turn in on ice and in slush. Maybe this is because I haven't had them tuned this year, or maybe they're not suited to where/how I ski? I'm open to advice on this! I'm 5'3" and overweight (165-170), so I'm not really clear on how long my skis should be. I don't really aspire to be more than a confident greens and blues skier, but I'd like for my sons to be able to enjoy skiing a few runs with me rather than just wait at the lift to ride up together when I eventually get down the hill. Money is a concern on these purchases (think two teacher family), but I want us to be safe and have fun, so I'm considering buying new equipment for next year. I was looking at these packages and want some feedback on why they're good or bad ideas, or what I should be looking for instead. I've been reading through forum posts here off and on for the last year, so I really appreciate the wealth of knowledge Divas have offered up. If you can give me some direct advice, I'd be grateful! Oh, and I attached a photo of the skis DS1 and I used this year and last. Welcome! I'd say the Defiance package for the older son looks like it should be good next year and at least one more after that. For the younger one, I think 100 might be a little short for next year already. I would guess a 110 for next year allowing for growth. For my kids while I they were still growing, I always bought used off CL early in the season, and sold their old ones the same way as soon as we found new. My two weren't hard on their skis, so I was often able to sell them for about what I bought them for. Of course where you live will affect availability. But for the L9 prices you won’t be out of pocket too much when the time comes to sell. And with the adjustable boots you won’t have the hassle of the buy and sell each year. Buying the skis and boots as a package from L9 also means they will adjust the bindings for you too. For yourself, it looks like the skis you have are a relatively recent beginner ski. I think the weight is coming mostly from the rental binding, a little from being made more for a rental market (trade off of durability vs weight.) If you haven’t had them tuned recently that could help you. I’m not sure the Elan will be much lighter. I had a different model of Waveflex as my second ski and although I did like them, they were quite heavy. There will definitely be beginner- intermediate skis that are lighter than what you have now. But I’m not sure going from a beginner ski to a different beginner ski will make a drastic difference. I would lean more towards an intermediate ski, around 150- 154, not too wide under foot and paired with a lesson at the start of the season. How did I forget? The big question for you is how are your boots? What is your street shoe size, and what size boot are you in? How your boots fit can affect ski control more than you might realize. You think the 145s would be good for my older boy as he turns 11 and 12? I was a little worried he'd outgrow them, just because I kind of expect him to hit 5' by the start of next ski season. But I'd be happy to hear that 145s will last him a while! thanks for your advice to me, too. I appreciate it. Oh, I think my boots might be a bit loose. I feel my right foot cramping up pretty early in the day, as if I'm tensing it to get pressure. I'm not conscious enough of what I'm doing to be sure, though. I wear 6.5 in street shoes (6s before the kids, but you know how that goes) and my boots are, um either 23.0 or 23.5. I can't tell? @jumperlass - I’m going to make a suggestion to go down a different path...of course this will very much depend on what you have available in your area. There are a lot of ski shops that do yearly lease programs for kids. These programs will outfit your kids with skis, boots and poles for the season, if they outgrow them mid-season most programs will let you swap them out for something that fits. This is the only way to guarantee your kid won’t outgrow what you buy, and to make sure you don’t buy something that will fit them for 2 years, but will hinder their progression because it’s too big. You could always go down a similar route for yourself and find a seasonal rental for gear. This can give you an opportunity to try different things and swap them out if they’re not working for you. Spend the money on getting your boots properly fitted, and then go with a seasonal rental for a year. And the best way to learn is to ask questions, like you are doing now. It sounds like your boots are likely a tad loose. My youngest is a size 7 - 7.5 and a 23.5 ski boot. If you are trying to figure out how to allocate your ski budget, boots before skis. @jumperlass - I’m going to make a suggestion to go down a different path...of course this will very much depend on what you have available in your area. There are a lot of ski shops that do yearly lease programs for kids. I can look into that. I know Greek Peak offers rentals as an add-on to the season pass, but I think that you can't lease out skis from them for the season and use them here-there-and-everywhere. I know my kid likes being able to take advantage of the random $10 lift night tickets at other places with his tween friends. I say yes to that because he doesn't also need $35 in rental gear, you know? So I'll have to see if there are local ski lease programs like you describe. I think the add-on ski rental on the season pass costs $226, with (obviously) no resale value and (I think) no possibility of taking the skis to other sites. And my younger kid got a free-with-mine pass, so I don't even know if that's available to him. They list the add-on as being available to those 7 and over, while he got a free pass because he's 6. I guess I should call and ask. I haven't heard of local lease programs other than this kind of thing at the mountain itself. I want to figure out how to make this work! I want us out there two or three times a week next year, even if it's only an hour here or three hours there. I want to go often, and leave before the kids want to, so they're always happy to go back next time. If you are trying to figure out how to allocate your ski budget, boots before skis. Boots sound way more intimidating, from what I've been reading on the forums. I'm willing to spend the money there instead of on skis, though, if that's the right way to do it. So I....need to find a bootfitter? Need to go to a ski shop and try on a bunch of boots? Need to rent equipment at the mountain and try the same run in different boot sizes by driving the rental shop guys crazy? I’m lucky in that my kids have never outgrown anything mid season- only between seasons. Also, it seemed to be a general rule that my girls went up 10 cm in ski length each year, and 1 boot size. I have no idea how a boy’s growth spurts would factor in. L9 always seems to have the Roces boots for the same price, FYI. And early season deals on previous years gear are as good as end of season. 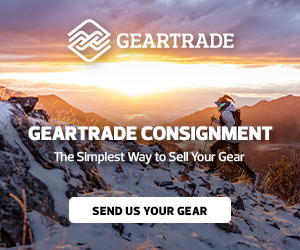 And you will have a better idea of what sizes you need, as well as time to find a local ski shop that does season leases (so you are not tied to one hill) and find out their prices and policies, as well as keep your eyes on CL in case any really good deals come along. Oh, also ski swaps! Greek Peak has theirs early October, with sale prices for season passes too. I think the add-on ski rental on the season pass costs $226, with (obviously) no resale value and (I think) no possibility of taking the skis to other sites. That seems pricey to me, and if that’s the only lease option...yea, you’re better off buying and reselling. The programs I’ve seen are normally between $100 and $200, and come with lift ticket/season pass perks. If you find leasing isn’t an option, try to size your oldest with skis that come up to his nose. The younger one probably around his mouth/chin....based on their abilities. They should be able to manage something around that size, with still being able to have a little growth....obviously depends on how much they grow this summer as well as next year. If you feel they’re in a growth spurt, go a bit higher now, so they fit next winter. Oh, also ski swaps! Greek Peak has theirs early October, with sale prices for season passes too. Ski swap may be the way to go. I'm just excited about it all now, I guess. But we have Aug/Sept/Oct/Dec birthdays, so if early season sales are really as good as March sales, that could work out well. Are they really? Kids are pretty flexible about what length skis they have once they get hooked. When my daughter was a tween, I would get skis that were a bit long to start (forehead height) and by the time she finished with the a couple seasons later, they were a little short (nose height) but she was fine either way. I got her started with ski school at age 4, only going a couple weekends in northern VA, so she was a confident intermediate by the time she was a tween. I did a season lease for a couple seasons before going to a ski swap for her first boots and skis. Good point on the hand me down sizing. I can’t see sizing on the Rossi Bandit but guessing 128? That would be the logical in between size, but there’s a chance the Tyrolia SL bindings might not be on the indemnified list in a few years. Doesn’t mean you can’t use them, but you would have to sign a waiver to get them adjusted at a shop. Kids are pretty flexible about what length skis they have once they get hooked. When my daughter was a tween, I would get skis that were a bit long to start (forehead height) and by the time she finished with the a couple seasons later, they were a little short (nose height) but she was fine either way. My poor kiddo's 128s don't quite come up to his chin when he stands in stocking feet...and he hasn't complained yet. But he doesn't really know to care about it yet. They are 128s, yes. When I had the bindings checked this fall, the guy in the shop said that they were super-reliable and released perfectly. (I can't remember what he said, exactly. Something about them being right on spec, basically, without requiring him to tweak anything.) But I haven't been assuming these would be good hand-me-down skis in another 2-3 years. I don't know how many people owned them before we got them on Craigslist. I don't know how old they are. They were good enough to get my older kid excited about ski club, and we don't have *any* family members who ski who could give us pointers, so when I found these for maybe $50, I grabbed them. Read up a bit on what a good shell fit and flex should look like for you, and get your foot measured at a shop, then try on some boots. When you find a pair that fits snugly, particularly in the heel/ankle area and doesn't cost an arm and a leg, go for it. If the shell fit and flex are ok for you, you can make other adjustments as needed.